2018 blank and printable PDF Calendars with EU/UK defaults. 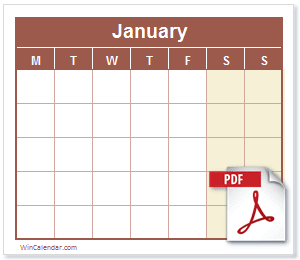 Monthly, Yearly and Weekly calendar formats available. Ideal for use as a school calendar, church calendar, personal planner, scheduling reference, etc. All calendar templates are free, blank, and printable! For PDF calendars for the next year see:2019 Calendar, 2020 Calendar.